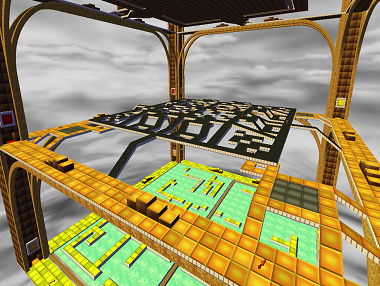 A collection multiplayer level with three stories. Each one has a different style. There are teleporters on the towers. If you have a slow computer, this level is most likely to lag.